1-1/2" = 38mm Wide genuine leather wine belt. It has a very soft and comfortable feeling. Double Stitched Support. 5 Holes for easy fit adjustment and a stylish nickle free antique silver roller plated buckle. 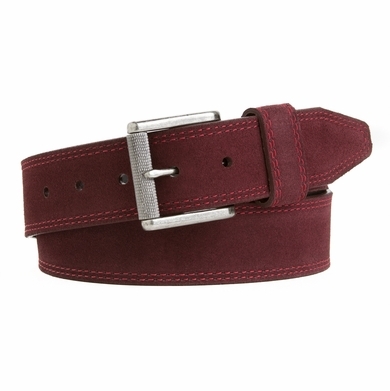 Durable casual mens belt with a fashionable and unique style with a matching color wine double stitch for support.